Your brows can make or break your look. The shape and shading of your eyebrows can make or break a look. 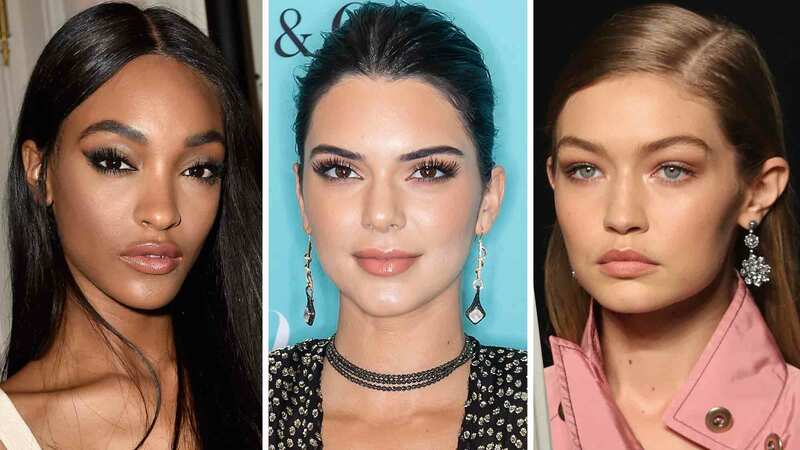 "When your brows are on point, you put your best face forward," says Zoey Van Jones, founder of the Zoey Van Jones Brow Studio in Los Angeles.Â But what you might think is perfecting your brows could be making them look worse. Here, Van Jones shares the five most common eyebrow blundersÂ she sees,Â and the best wayÂ to correct them. To create aÂ more natural-looking full brow, try using two shades to fill them in. Since the front half of the brow is usually already pretty full, the tail (from the arch to the end) should always be filled in with a darker shadeÂ so it matches the front. Start from the arch to the end of the brow with the darker shade, then fill in the front half with a slightly lighter hue. This makes the brow look even all the way across in a veryÂ natural way. Try Zoey Van Jones Brow Shadow Duo ($22; birchbox.com), which pairs two complimentaryÂ shades in one compact. As mentioned above, most women need more definition on theÂ second halfÂ of their browsâbut theyÂ tend to fillÂ in the front of the brow first. When that happens, theyÂ usually end upÂ over-shading and are left with a brow that makes them look like they're pissed (RBF anyone?). Instead, start at the end of the brow with a heavier hand then ease up on the pressure as you get closer to the inside. This is also a good trick if you're using a pencil to shade and want to achieve the look of using two colors. As tempting as it is to pull out the tweezers when your skin is fresh out of the shower, don't do it! Always fill in your brows before taking a tweezer to them. When your brows are "naked," every hair can start to look like a stray, and that's when you over-pluck. When plucking, make sure you use tweezers with an angled tip like the Tweezerman Mini Slant Tweezer ($16; sephora.com) to get the best grip on hairs without causing pain. By now you've probably tried (or at least heard of) placing a pencil on the outside of your nose to find the perfect spot to start your brows. But that trick has been around for years, and brow shape trends have evolved since then. Instead of placingÂ the pencil on the outside of your nose, hold it on top of the highest point of your nostrilâfor most this would be right where your nostril connects to your nose. PointÂ it straight up in line with your eyebrows; this is where the hair should start. If that spot'sÂ bare, fill it in lightly with a shadow or pencilÂ like Anastasia Beverly Hills Brow Wiz ($21; sephora.com), using the spooley to buff out the colorÂ after making strokes. Beauty fads come and go, and in the eyebrow department, that would be threading. While it's great for the upper lip, it pulls outÂ too much hair too quickly for the precision that's neededÂ on eyebrows. Instead, if you want someone to groom your brows for you, then haveÂ a reputable esthetician tweezeÂ or wax your brows.